Registration OPEN for 4 Week Tone-Up Challenge! Join us Sunday December 27th for the San Diego Holiday Half Marathon Celebrate the Holidays with a Run through Torrey Pines State beach along the rolling down hill bike path! 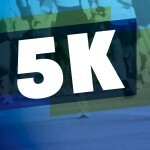 Visit http://sandiegoholidayhalf.com/ to register!